Wide circular outline. 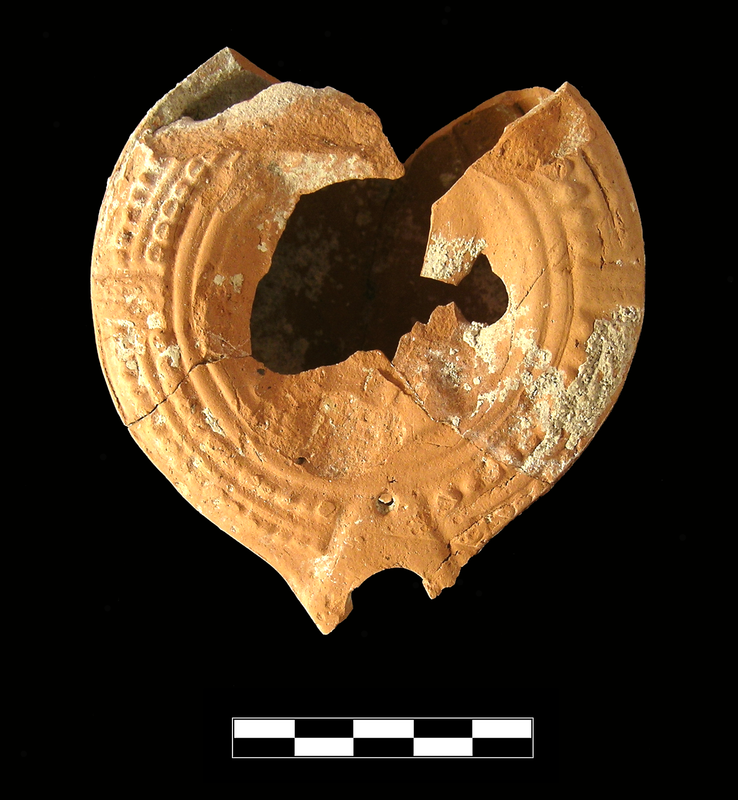 Circular, concave discus has large filling hole middle right, figural relief, and two rounded framing rings. Relief depicts Athena Promachos facing left: visible outline of left shoulder, breastplate, and raised areas for brim and crest of helmet but heavily worn everywhere. Slightly rounded shoulder has panels with branches crossing over double rows of globules separated by ridges. Somewhat narrow, raised, kite-shaped nozzle. Small ring handle with three grooves attaches at discus rim. Flat, circular base with single circular groove; signature does not survive. Excess clay along seam next to handle. 2.5YR 6/8, light red. Middle Roman Athenian lamp fabric: somewhat soft and slightly grtty with voids. Unglazed. 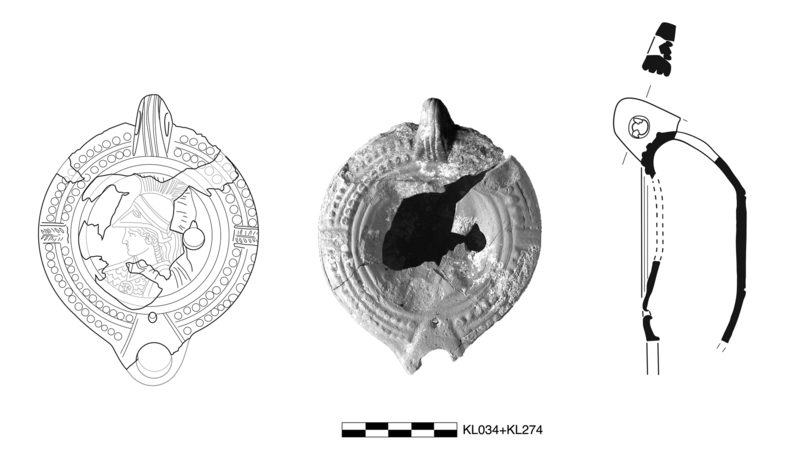 Seven joining sherds preserve over one half of discus without middle, over three quarters of shoulder, nozzle, and base, and upper handle. Irregular, slight, sparse abrasion, extensive flaking and pitting on shoulder around handle and on underside, and compression fractures; slight patches of encrustation across top.